A report by the US National Science Foundation found that the State of Pennsylvania ranks below the national average on the proportion of mathematics, science, and engineering degrees conferred to students. The Scholarships-Creating Opportunities for Applying Mathematics Program, developed by Drs Yu-Ju Kuo and Frederick Adkins at Indiana University of Pennsylvania, provides financial aid and a variety of academic opportunities to students in need. Over the past few decades, rapid technological advancements have prompted growth and transformation within many scientific fields, highlighting the rising need to adequately train future generations in the fields of science, technology, engineering and mathematics (STEM). The Science and Engineering Indicators 2008 report by the US National Science Foundation (NSF) found that the State of Pennsylvania ranks below the national average on the portion of conferred STEM degrees, with an average of 29.5%, compared to the national 29.9%. The state ranks even lower in the percentage of advanced degrees out of all degrees attained in STEM areas, with an average of 21.3%, compared to the national 24.2%. A 2007 report highlighted the even greater contrast of these numbers with the portion of STEM degrees conferred in other nations, with percentages such as 38% in South Korea, 47% in France, 50% in China, and 67% in Singapore. There could be several reasons why a low proportion of American students are attaining scientific degrees compared to other countries, including the need for additional recruitment, improved retention, and mentoring of students who do not feel confident about their skills in mathematics. In fact, the number of students pursuing science and technology degrees who decide to take advanced mathematics courses appears to have declined, with many students questioning their mathematical abilities. The state of Pennsylvania also has a higher average in-state cost of higher education attendance of $19,017, which represents 50.1% of disposable income. At the Indiana University of Pennsylvania (IUP), 63% of STEM students show a degree of financial need, with an average un-met need of $5,600, even after applying for scholarships and student loans. Moreover, many state-specific aid programs have shifted from assistance based on financial need to merit-based aid, which tends to favour wealthier students over lower-income ones. All these factors highlight an impelling need for programs that offer both financial and academic support to disadvantaged students, who are looking to pursue further education and careers in STEM-related fields. On a quest to meet the needs of low-income students with a passion for STEM disciplines, Drs Yu-Ju Kuo and Frederick Adkins, from Indiana University of Pennsylvania, have developed the Scholarships–Creating Opportunities for Applying Mathematics (S-COAM) Program. 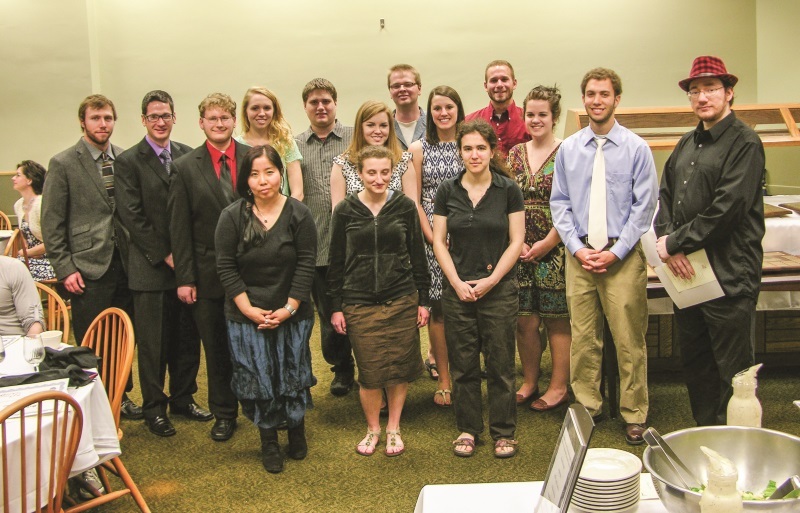 The S-COAM project was first introduced in 2010, funded by the NSF’s Scholarships in Science, Technology, Engineering and Mathematics Program. It received further funding in 2013, which allowed it to continue until 2017. Between 2010 and 2017, S-COAM assigned scholarships to a total of 120 students with financial aid, while also connecting them with other peers and field experts, empowering them to pursue advanced mathematics courses, and offering other academic opportunities. 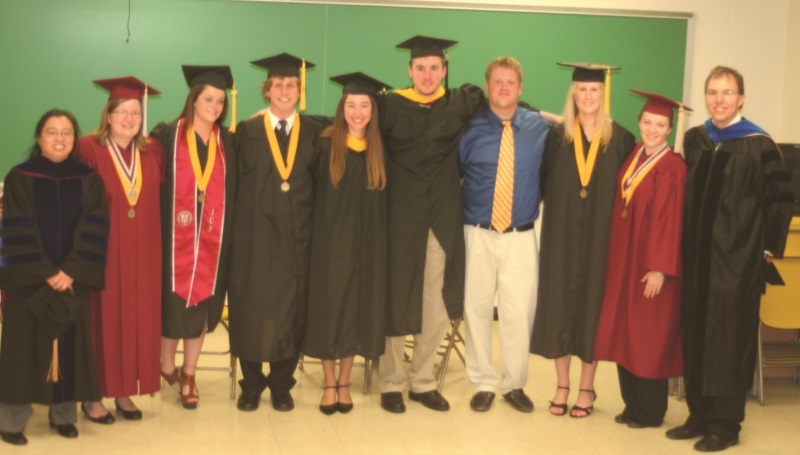 S-COAM has several objectives, including improving retention for students pursuing degrees in mathematics, enhancing diversity among STEM students, and increasing recruitment for IUP’s Applied Mathematics Master’s degree. Mathematical skills have been identified as a common qualification or ability required to succeed in the top 15 jobs. Despite this, IUP is effectively the only university in the Pennsylvania State System of Higher Education to offer Master’s course in Applied Mathematics, making it a vital institution for the preparation of applied mathematicians. As part of its greater goals, the project also aims to create a pipeline for recruiting STEM undergraduates and strengthening students’ leadership abilities, technical skills, and their aptitude for life-long learning. The program directors are personally committed to mentoring and advising each of the participating students, who can take part in different academic initiatives to strengthen their skills and connections in the field. Spanning over the course of three academic years, the program offers students research and internship opportunities, conference travel support, and the chance to take part in hands-on technology workshops. Meanwhile, participants can connect with other peers specialising in STEM subjects, as well as with a network of academics and experts operating in areas that could be of interest to them. This increases their awareness of STEM-related careers, encouraging them to establish connections that could prove valuable in the future. The opportunities and activities included in the S-COAM program are quite varied in nature, addressing the project’s different objectives. At monthly cohort meetings, students network with those returning from internships, and ask them questions about job searching, interviews, and their overall experience with working in STEM-related fields. Taking inspiration from their more experienced peers, the students are also encouraged to pursue summer research programs and internships. For instance, the program has established an ongoing relationship with NASA, with three successful internship placements, one of which turned into a long-term hire. During monthly meetings, teams of students are asked to present results of mathematical modelling questions, sharing their knowledge of applied mathematics. ‘Each monthly meeting also features a student designed professional development activity with recent contributions spanning understanding your personality and communication preferences, hands-on technology training, and new developments in scientific research,’ explains Dr Kuo. In addition to the monthly meetings, all students participating in the S-COAM program are asked to attend at least four colloquia, seminars, or workshops. These activities are open and enhance the academic and research environment of the larger university community, providing everyone access to cutting edge technology training. The program provides students with mathematics knowledge that is applicable to scientific disciplines, strengthening their preparation for advanced degrees in the areas of science, technology, engineering, and mathematics. An external evaluation of the S-COAM program carried out by Dr Debra Moore, co-director of the Department of Instruction and Learning at the University of Pittsburgh, assessed the project’s outcomes and its potential benefits for participating students. The materials used to investigate the outcomes of the project included a series of phone interviews with participating students, end of semester surveys, former annual reports, and other documentation from students who graduated from the program. Many participants appeared to be particularly pleased with the programming and presentation skills they acquired. 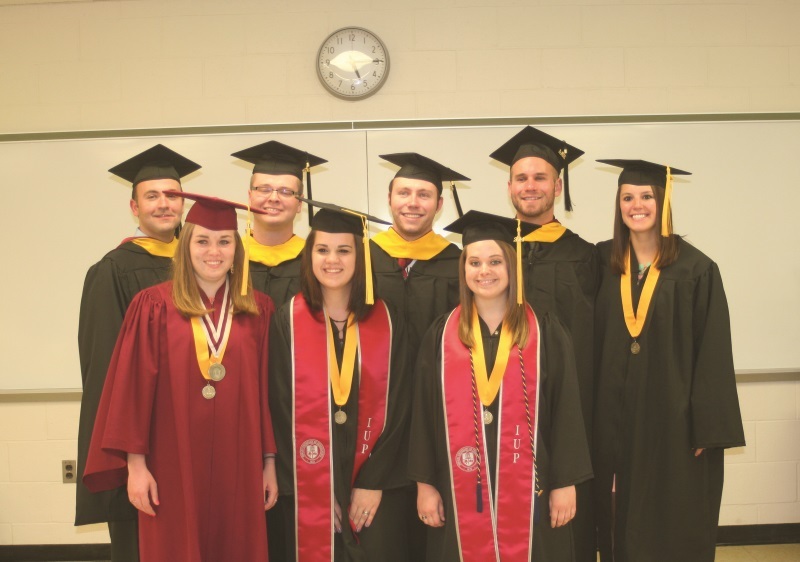 Statistics revealed that S-COAM also successfully increased the number of math major, minor, and graduate students at IUP, encouraging a stronger research culture among students and the mathematics department. 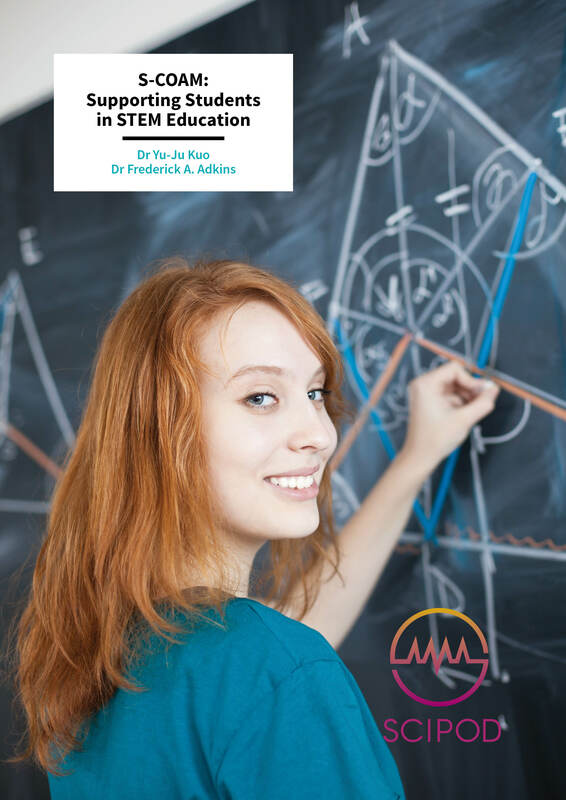 ‘Overall, students speak highly of participating in the program and have been immensely successful in securing full time STEM employment or admission to graduate school STEM programs they find satisfying and enjoyable,’ reads the program’s 2017 evaluation report. Students who participated in the program pursued further science-related studies and careers, with high-success rates in securing full-time employment and being accepted into graduate school programs. Many of the students appreciated the interdisciplinary nature of S-COAM, which focused on the possible applications of mathematics within a great variety of scientific fields. ‘In SCOAM, we were exposed to different fields and the workforce is interdisciplinary. It is not just math people working with math people,’ said one student who was interviewed. Constant progress within science and technology sectors is placing greater pressure on education, prompting institutions to find new ways of introducing students to STEM-related subjects, so that they can meet the needs of current and future workplaces. Past NSF reports have highlighted the low percentages of students pursuing degrees in STEM-subjects compared to several other countries – a trend that seems to be further accentuated in the state of Pennsylvania. The S-COAM project has been addressing this issue, while trying to enhance collaboration between students and faculty members at IUP, increasing students’ interest in mathematics, and improving possibilities for minorities, women, and financially disadvantaged students. So far, the program appears to have successfully met its main goals, motivating students to be more engaged in the study of STEM-subjects, providing valuable skills and career opportunities for their futures, and promoting networking among peers and faculty members. Past students took full advantage of the workshops, colloquia, and seminars available to them, with many attending more activities than required. Due to the positive outcomes of the S-COAM program, Dr Kuo and Dr Adkins have recently been awarded further funding to continue running it (https://www.nsf.gov/awardsearch/showAward?AWD_ID=1742304&HistoricalAwards=false). The new project includes peer-to-peer academic support for STEM freshmen and financial support for summer research. 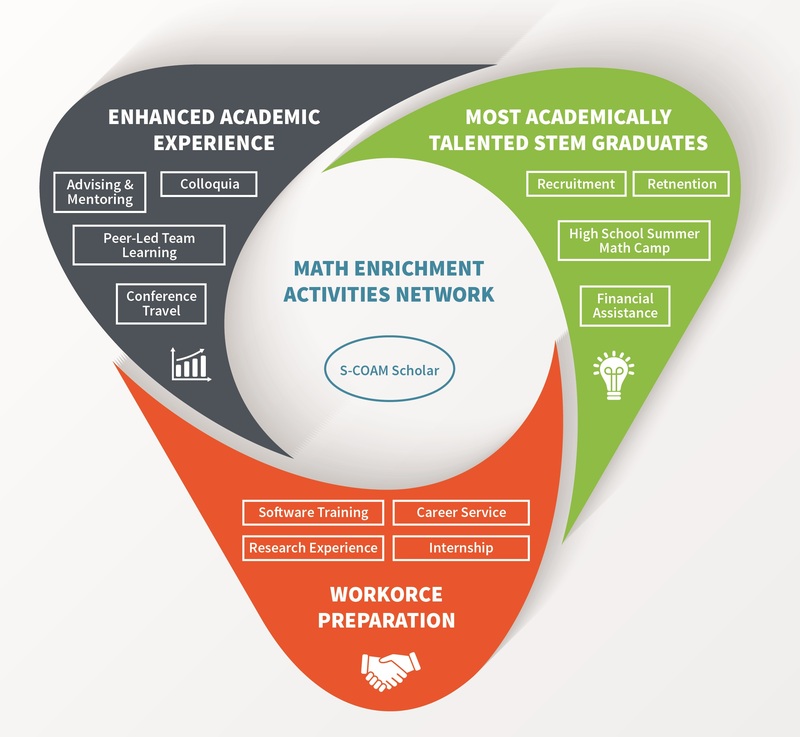 Initiatives such as S-COAM could make a huge difference in the state of Pennsylvania, vastly improving possibilities for students in financial need who are passionate about STEM-subjects, while renewing the interest of younger generations for the highly relevant and fascinating field of applied mathematics. Dr Yu-Ju Kuo is an Associate Professor and the co-coordinator of the MS program in Applied Mathematics at the Indiana University of Pennsylvania. She achieved a BS in Applied Mathematics from the Tatung Institute of Technology and an MS from the National Chung-Hsiu University in Taiwan, as well as a PhD in Computational Mathematics from Arizona State University and an MS in Computational Finance & Risk Management from the University of Washington. Dr Kuo has published several papers addressing a variety of mathematical applications. She has also been working to create opportunities for students who wish to deepen their knowledge of scientific topics or pursue a career in mathematics. Dr Frederick A. Adkins is a Professor of Mathematics at the Indiana University of Pennsylvania and the co-director of the IUP Software Development Center in Indiana. Dr Adkins attained a BS in Mathematics, Computer Science & Secondary Education from Concordia College, as well as an MS in Mathematics, an MS in Mechanical Engineering, and a PhD in Applied Mathematical & Computational Sciences from the University of Iowa. He has published many papers exploring complex mathematical and computational problems. Dr Adkins has been actively advocating for improvements in science education, trying to open opportunities for students who might wish to pursue a career in science and mathematics.